Designed for schools, clubs and junior players, includes training programmes, tournaments, talent showcase and competitive teams. 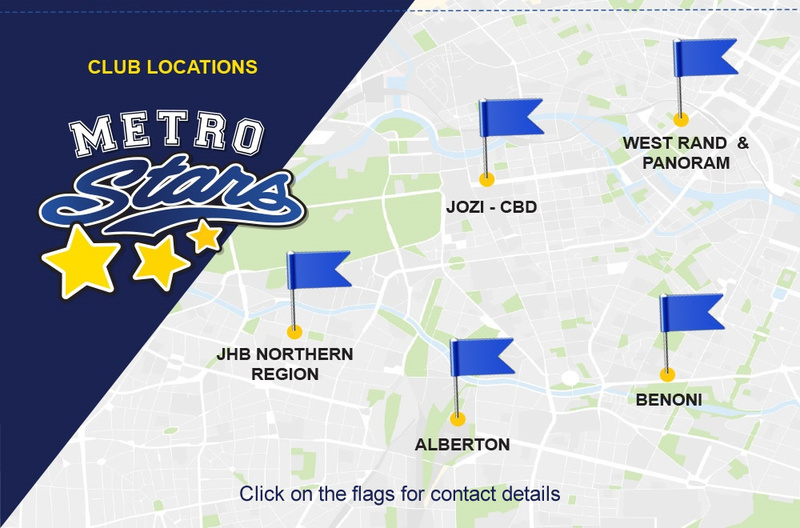 METRO STARS provides maximum access to all the people, regardless of culture, income level and gender, assisting in the development of the game in lower-income areas, and play a role in promoting girls and women’s football. All are welcome to try out and join boys and girls of all age groups. Discounts for siblings and for multiple sessions per week are available. Players provide own apparel and footwear. We provide all balls and other required equipment. We are currently already operating at schools and clubs across the city with over 500 players in our community we have established training programmes in schools and clubs across the country from the West Rand to the East Rand, and in the Southern Suburbs, and are also unveiling programmes in the Northern suburbs.